The ad spread like wildfire on social media, garnering praise for being a “nuanced” and “powerful” celebration of a working mother. In late August, the internet was buzzing about tennis superstar Serena Williams. It wasn’t about the U.S. Open, just about to kick off. Rather, it was about a new ad from JPMorgan Chase called “#ThisMama,” starring Williams and her baby daughter Alexis. 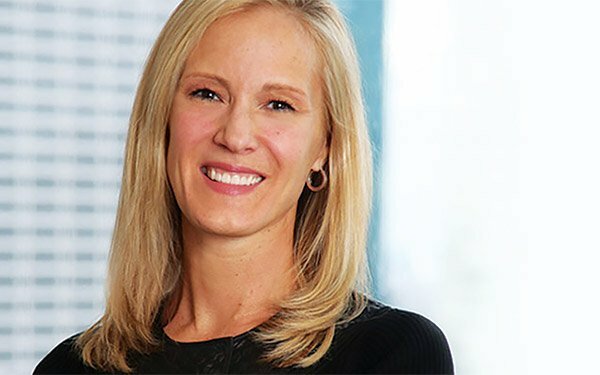 For JPMorgan Chase CMO Kristin Lemkau, it was also a career highlight. The ad was the “best piece of work I have ever been a part of,” Lemkau tweeted when the campaign launched. With oversight of JPMorgan Chase’s $5 billion marketing budget, Lemkau is one of the most influential CMOs in the country. When she speaks, Madison Avenue listens. So when she spoke out about brand safety on programmatic ad networks and platforms such as YouTube, companies added new tools and filters. JPMorgan Chase even took matters into its own hands. It culled the list of websites its ads appeared in and developing a tool that plugs into YouTube’s API to ensure its ads only run on brand-appropriate channels and videos. Lemkau has called for more transparency and accountability from its partners, both at agencies and the platforms where it spends its marketing dollars. As digital advertising continues to grow at a record pace, Lemkau has fully embraced the potential it provides, while warning of unintended consequences. And when it comes to data, Lemkau speaks of the potential it offers to improve customer experiences, while being mindful of privacy and transparency. To that end, Lemkau led the evolution of the “Sapphire” brand name. Originally launched as a credit-card product, the company expanded the brand to personal banking in 2018 to lure more millennials to the consumer bank. The result was Sapphire Banking, a new deposit product that ties perks associated with the popular family of credit cards to the everyday convenience of a checking account. It was a triumph of marketing. The company has since launched a more formal campaign, featuring late-night host James Corden, who also stars in the commercials for the company’s Sapphire Reserve credit card. For Lemkau, it served as a lesson that’s applicable to every company.